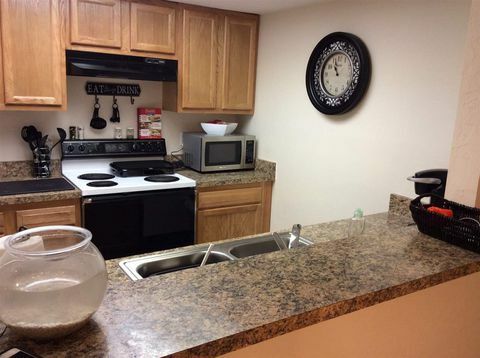 Conveniently located near the Oaks Mall and the western edge of the University of Florida campus, Majestic Oaks Apartments offer 1 and 2-bedroom apartments in Gainesville, Florida. Students looking for a quiet home near the University of Florida campus will enjoy Majestic Oaks Apartments in Gainesville, Florida. Located near the western edge of campus, there are public transportation options available, but those with cars will find access to campus easier. Students can drive 9 minutes to access the Southwest Recreation Center, or they can take the 20 bus from the community and get there in 40 minutes. Those with classes in Steinmetz Hall can drive and get to class in 8 minutes, or take the 20 bus to arrive in 8 minutes. Almost all areas of campus are accessible by car in under 20 minutes, making the community a great choice for students. Shoppers will be right at home at Majestic Oaks Apartments. The Oaks Mall is just a 5-minute drive or a 41-minute bus ride on the 75 route from the community. Fashionistas can keep their wardrobe up to date at Macy’s, Forever21 and Sears. There is also a Gamestop in the mall for those who prefer to stay up to date on electronics, or residents can take in the latest blockbuster at the movie theater in the mall. Many dining options await around the mall, ensuring that no matter an individual’s tastes, they will be able to find a restaurant that they will enjoy. Residents can grab a gourmet burger with friends at Red Robin, or sample craft brews with their meal at BJ’s Restaurant and Brewhouse. For those whose tastes favor the exotic, Yamato’s Japanese Restaurant is also in the area and features a wide range of Japanese cuisine. Residents who prefer to find their adventure outdoors can take advantage of two great parks right around the corner from Majestic Oaks Apartments. Hiking trails across diverse landscapes that cover hundreds of acres await visitors of the Split Rock Conservation Area. The park is within walking distance and residents can get there in 11 minutes on foot. The Clear Lake Nature Park also offers hiking to residents and is accessible in an 11-minute drive. Majestic Oaks Apartments offers its residents amenities in every unit to ensure residents’ comfort. Units can contain wood flooring, walk-in closets, balconies or patios and energy efficient appliances. The community is also pet-friendly for residents who want to bring their furry friends along with them to their new home.